Throughout history there have long been many examples of breath taking engineering marvels that simply defy logic. Here at MNB Precision we love marvelous engineering feats and have decided to provide our opinion on the greatest engineering marvels of the modern day. 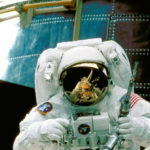 Just who are the greatest aerospace engineers of all time? The ability to fly has long been an ambitious quest for mankind. 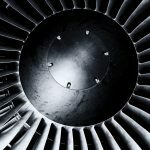 Many centuries have been spent trying to master the art, as such there have been many aerospace engineers with a profound and lasting impact. Here at MNB Precision we have compiled a list of both the greatest engineers and the greatest aerospace engineers. Ranging from the most famous and prominent to some lesser known yet still crucial figures, these are some of the best professionals in the field. Read on to find out more. Throughout the history of mankind there have been many pioneers of engineering. Without a great many of these inventions life today as we know it would certainly be rather different. Here at MNB Precision we have tried to compile a list of the greatest engineers of all time in our humble opinion. You may not completely agree with our choices but they will give you some food for thought. 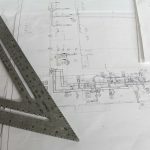 Even though the field of engineering is much appreciated, it is equally overlooked especially considering that it is to thank for some of the greatest achievements in the history of the UK. Engineering has not always been what we know of it today and has come a long way. 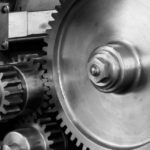 Here is a quick walk down memory lane to have a look at the history of engineering and what its earliest forms were like. Different fields in the manufacturing industry rely heavily on machining. 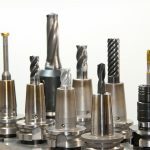 Whether you are considering starting a machining business or looking to have components for your next project produced, you need to decide whether you are going for CNC machining or manual machining. 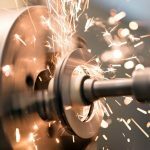 Even though CNC milling has eclipsed manual milling with better technology and broader applications, manual machining still holds an important place in the world of machining. Both types of machining can be used in different applications in different fields like construction, dental, aerospace, medical, metal work, automotive, agriculture among others. Since the inception of CNC milling, a lot of machining experts and even service providers have tried their best to make the move and make their machining operations more automated. However, there are some that are still holding on to manual turning. Wire erosion which is also known as Electronic Discharge Machining (EDM) is a highly accurate process where a strand of wire is used to cut through the workpiece. During the process, electrical sparks between the workpiece and the wire are used to cut the workpiece. 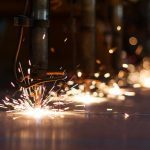 When dealing with difficult materials or complex shapes and sizes, spark erosion is one of the most successful forms of machining. There are no cutting forces so the integrity of the material is always maintained. The process is highly controlled and allows for proper removal of material even on delicate materials. What Exactly Does an Aerospace Engineer Do? An aerospace engineer does whatever his current job requires him to do. During his undergraduate training, an aerospace engineer is trained and given all the fundamentals of all subsystems that are related to rockets, aircraft, spacecraft and rotorcraft. You also receive training on design, testing and some aspects of manufacture. Here at MNB Precision, we strive to provide our clients with the very best precision engineering services and we are delighted to announce we have embarked on a growth program that will see our turnover double to £20 million within the next 5 years. In order for us to meet this target, we have invested over £500,000 in four new machines.